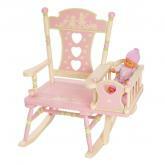 It's a child's rocking chair, a rocking horse, and a baby doll carrier all in one! Your little girl will love rocking her baby doll to sleep. After baby is asleep, she can enjoy a quiet ride on her horse rocker. 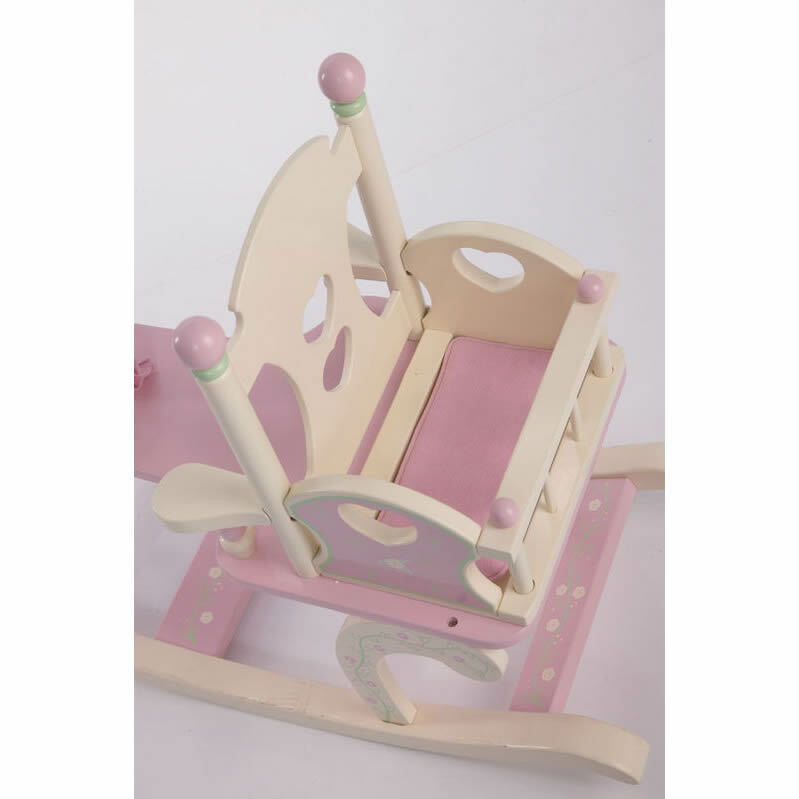 She will love the plush padded backrest, soft pastel colors, stenciled design, and heart-shaped wood cut outs. Her baby doll will sleep peacefully on a soft, pink, corduroy pad. She can even listen to the tune of "Rock a Bye Baby" when she pulls the heart on the seat. This rocking toy will inspire years of creative play. When your child grows up, this horse rocker will still have years of trotting. It will be so fun to pass the heirloom quality toy down from generation to generation. There is even a special understamp beneath the seat that you can personalize and a photo greeting card included so the child can say "thank you" in a memorable way. Full Description It's a child's rocking chair, a rocking horse, and a baby doll carrier all in one! Your little girl will love rocking her baby doll to sleep. 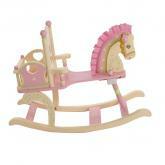 After baby is asleep, she can enjoy a quiet ride on her horse rocker. 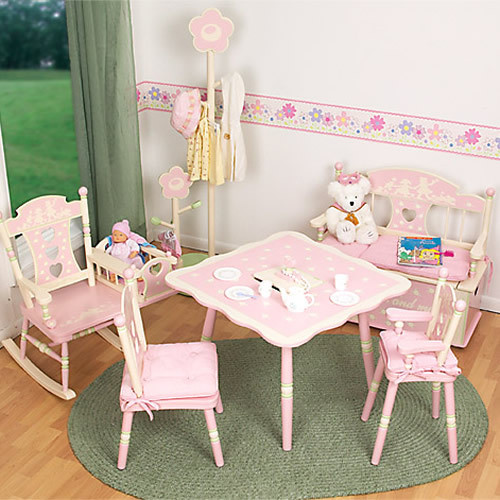 She will love the plush padded backrest, soft pastel colors, stenciled design, and heart-shaped wood cut outs. Her baby doll will sleep peacefully on a soft, pink, corduroy pad. She can even listen to the tune of "Rock a Bye Baby" when she pulls the heart on the seat. This rocking toy will inspire years of creative play. When your child grows up, this horse rocker will still have years of trotting. It will be so fun to pass the heirloom quality toy down from generation to generation. There is even a special understamp beneath the seat that you can personalize and a photo greeting card included so the child can say "thank you" in a memorable way.